Love Bite. 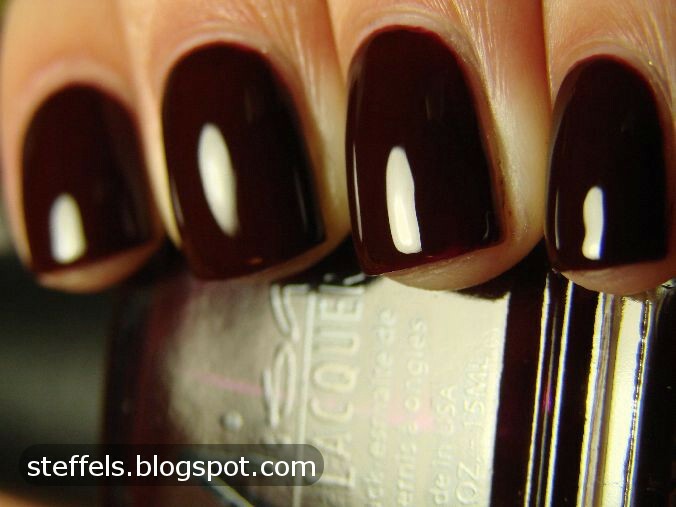 Dark, vampy burgundy red. Three coats. This is one of those jelly/creme hybrids that are so so shiny. It's gorgeous. I loves me some vampies! I've linked this page to the rest of the Poisoned Passion collection here.